Political journos call it the 'climate wars' and mostly focus on the lead actors standing in the spotlight. That's understandable: in the Western narrative tradition, characters drive events. And so we all know the story of Abbott usurping Turnbull for the Liberal leadership over emissions trading in 2009, clinching victory by one vote. We watched Abbott destabilise Gillard's reign with his relentless 'carbon tax' jabs, then brutally repeal the price on carbon legislation. At times it's been a fascinating character study of Malcolm Turnbull, forehead wrinkled with worry as he contorts between his conscience and ambition. Most recently it's been a farce, with lumps of coal passed around parliament as a comedic prop. Almost no one has noticed the scenery change. Stagehands dismantled the backdrop years ago, but the politicians have kept carrying on as if the same circumstances existed when they started this charade ten years ago. Now Chief Scientist Alan Finkel has entered from the wings with a new report that should make the Coalition realise everything around the debate is different, and the old lines don't make sense anymore. Instead, Abbott and co., desperate for some attention, are doubling down on stale rhetoric. Let me explain what I mean by all this theatre analogy stuff with a quick recap of the 'climate wars'. Act One started in 2007 when both John Howard and Kevin Rudd went to the election proposing an emissions trading scheme. Rudd won, ratified the Kyoto Protocol — something Howard had refused to do — and then introduced the flawed Carbon Pollution Reduction Scheme. Opposition leader Malcolm Turnbull supported it, but many in the Liberal Party didn't, and Tony Abbott used the division to seize the Liberal leadership. That's what the players we're doing, but as I said, the background is more important. At this point, the debate consisted of some core assumptions. First, that renewable energy needed subsidies to compete. Second, that a plan to cut emissions would push up power prices and cost jobs. Third, that business and industry preferred the status quo. "As energy analyst Tim Buckley has pointed out, this staggering technological and economic shift is hardly mentioned in the debate. 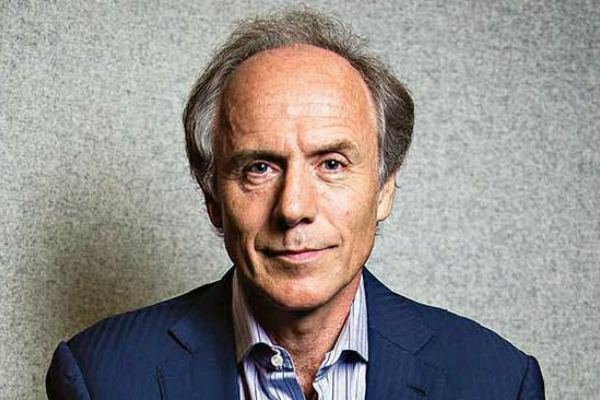 In fact, the market is transforming so quickly that the Finkel Report's modelling is already out of date." These assumptions were contested, but dominant in the media narrative, which was driven by the Murdoch press. When Abbott became Opposition leader in December 2009, this is the landscape he saw. That month, the UN climate talks at Copenhagen ended in disappointment, reinforcing the Opposition's do-nothing denialism. But Abbott wasn't a villain operating in a vacuum. He was also a product of the circumstances — the theatre backdrop. He had a lot of help. Large business groups provided case studies with inflated figures about catastrophic job losses under a carbon price. Manufacturing companies, some of them Liberal party donors, let him tour their factories for the cameras. The big energy generators wailed about power prices rising and the lights going out. When the Finkel Report was released this month, Abbott admitted he hadn't read it, then gave us his opinion anyway. He called the proposed Clean Energy Target a 'tax on coal'. His Chief of Staff, Peta Credlin, wrote an opinion piece for the Daily Telegraph that read like a greatest hits album of climate and energy myths, circa 2010. They were rehashing their lines from Act One, without realising everything underpinning their arguments had changed. The chart shows the levelised cost of energy, which is the cost per megawatt-hour for building and operating a power station over its assumed lifetime. The black bar is the fixed cost of building it, and the blue is the cost of operating. As you can see, wind and solar are the cheapest. See the green bars? That's an added cost if renewable generators are forced to have a certain amount of 'dispatchable' capacity, one of Finkel's recommendations. Dispatchable means energy available on demand — in this case, storage or gas attached to renewables. It's suggested to improve reliability, but in his presentation to Coalition MPs, Environment and Energy Minister Josh Frydenberg argues it 'levels the playing field' for coal. In other words, coal now needs government help to compete! Second, a credible and enduring plan to cut emissions will reduce power prices, not raise them. It's worth explaining how Finkel got to this point. Abbott has complained that Finkel is 'all about emissions', but actually the review was a response to the South Australian blackout in September 2016, which the federal government politicised as an 'energy crisis' then said we needed to investigate the security and reliability of the grid. The terms of reference only mention climate once. Exactly who is pushing for it? Finkel quotes submissions from AGL, Energy Australia and Origin. In other words, the biggest polluters in the country are now calling for a kind of carbon price because it would bring investment certainty to the electricity market. That would increase supply and, ultimately, bring down prices. It's the inversion of Abbott's assumptions from 2009. Third, and this is a related point, business groups are against continuing the status quo. In their submissions, AI Group, Australian Energy Council and Business Council of Australia call for a policy to reduce climate pollution. Several have publicly backed an emissions intensity scheme, Labor's preferred option. Where does all this leave us? For most commentators, the Finkel Report is seen as a way to end the political 'climate wars'. In this analysis, the proposed Clean Energy Target is worse than what has previously been on the table, but perhaps better than another wasted decade of bickering. It's framed as a choice between accepting a third-rate Coalition policy with a chance of bipartisan support, or holding out for Labor to introduce something more in line with the science, which might get repealed later. This is a genuine dilemma, but once again the focus is on the political parties squabbling in the foreground, not the rapidly transforming economics in the background. It overlooks that wind, solar and battery storage are disruptive technologies that have already changed the dynamics of our energy grid. It neglects that the price of solar is dropping exponentially. As energy analyst Tim Buckley has pointed out, this staggering technological and economic shift is hardly mentioned in the debate. In fact, the market is transforming so quickly that the Finkel Report's modelling is already out of date. I look forward to watching the Final Act unfold. But I won't be watching the clowns on stage. My eyes are on the scenery. That's where the real action is. Fine! Take away all taxpayer-funded subsidies on all sides forthwith, and let the market decide the mix between solar, wind, nuclear, coal, geothermal, hydro, etc. Let a hundred flowers bloom! Good to see you're on side with the raw economics, Greg - free marketeers are with you. Oh, and factor in the latest Santer/Mann paper in Nature Geoscience which says that the "pause" exists and that the hugely expensive models can't account for it ("Causes of differences in model and satellite tropospheric warming rates" Nature Geoscience, 19 June 2017)...In other words, that there's a huge crisis in the global warming narrative, which means maybe we don't need to demonise those fossil fuels after all. Thanks Greg for focusing on the real issue, not the theatre of the absurd that federal politics has become on this issue, especially given that it is played out in Canberra which is well on the way to producing 100% renewable energy by 2020. However, I'm still not sure that I understand what Finkel is saying. Thanks Greg for a revealing analysis of the larger picture. Who could doubt Australia supplied with unlimited free sun, wind, water, geothermal, and wave power will be an economically and environmentally far better Australia. As you say, there'll always be a place in the scenario for (greatly reduced) coal, gas, and oil generators. Like Rip van Winkle, our dozy Canberra pollies must finally wake up to reality. So, all those bemused Happy Harry shareholders would be advised to move their investments before the rush to renewables really gets going. One would hope our pollies have enough foresight to set in place re-training schemes for the many who work in dirty power generation, so they can readily find jobs in burgeoning clean power industries. As you reveal, Greg: "Hey Malcolm, Tony, Bill, and all - kindly cease squabbling; can't you see there's technology to be learned and work to be done?" I too am fine with taking away >>all<< the subsidies. Currently the gov picks up the damage bill from all the Co2 emissions. User abuser pays, that the ticket. If the power you produce causes damage to other businesses such as farmers you should pay for that. So any fact based honest assessment of no subsidies involves fossil fuel burners paying for the damage they do. Yeah the scenery is where its at, they don't listen to the armchair pundits. "I look forward to watching the Final Act unfold. But I won't be watching the clowns on stage. My eyes are on the scenery. That's where the real action is." It will be interesting to see if the clowns who support the opening up of the Galilee Basin coal deposits, the Adani mine etc, succeed in their endeavours and if the taxpayers' proposed billion dollar subsidy to Adani ends up with a stranded asset - a mega-coalmine, a new railway, and nobody to buy the coal. The scene is now set for this! Hi Paul, Finkel is saying lots of things - there are 50 recommendations - but the one to take away is this: We need bipartisan support for energy and climate policy to provide certainty to investors. The politicalisation of the issue has created a 'capital drought' - not enough investment in new electricity supply because policies keep changing. Any new electricity supply is likely to be renewables or gas, because coal doesn't make financial sense anymore and banks won't invest in it. Thus we need a clean energy target to provide certainty and bring more renewable energy supply into the market. That will lower emissions and power prices at once. There's heaps more to it, but that paragraph sums up the important stuff from my perspective.